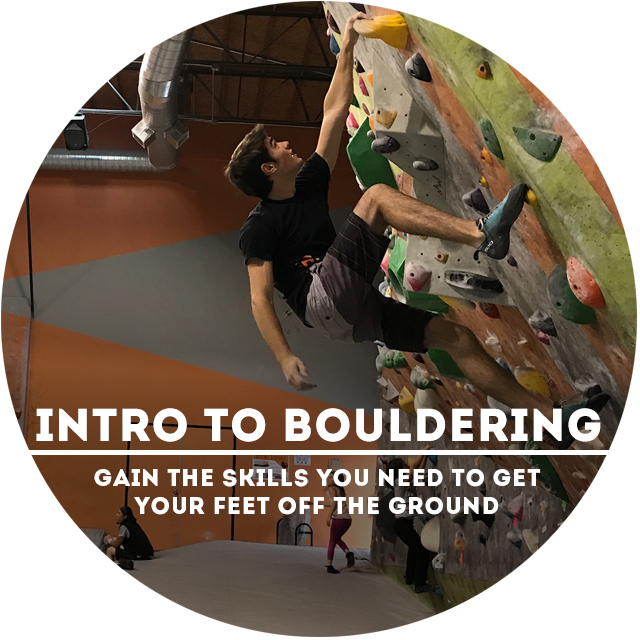 Join us at our monthly Intro to Bouldering clinic as we go over everything you need to know to get off the ground. 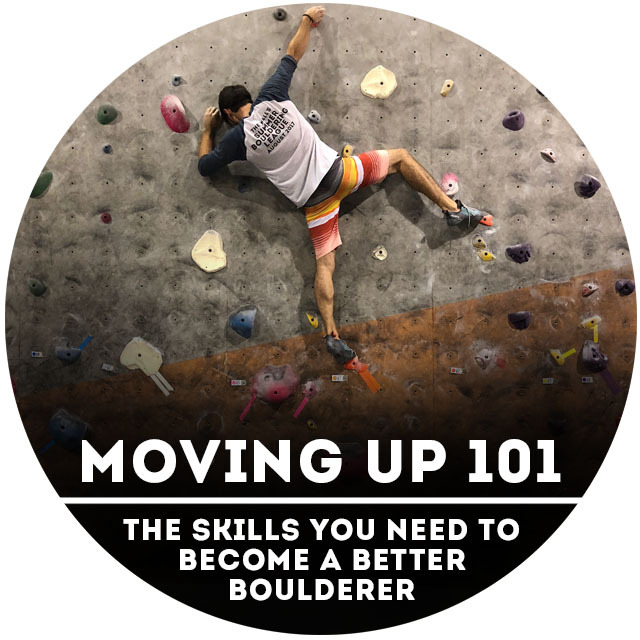 This class covers everything from gym etiquette and climbing terminology to basic climbing movement and route reading, with a little room at the end for Q&A. If you're new to climbing and want to beat the learning curve then this class is for you! While most climbers will likely learn something from this course, we do cover a lot of very fundamental subjects, so it's recommended for brand new to V1/2 climbers only - if you don't know what that means you'll find out here! Space is limited so make sure to register below. Does it seem like you’re not getting stronger? Like you’ve been climbing the same grade for years? Sometimes pushing to new heights in climbing is as easy as learning something new, whether it’s a footwork skill or a new training regimen. In this clinic, we will go over some fundamental skills that can increase your climbing level including: footwork, finger strength, power, endurance, and mindfulness. We will provide you with some simple ideas to improve your skills, as well as some exercises that will hone your abilities. Due to the difficult and strenuous nature of training, it is required to have been climbing at least six months and be able to climb in the V3-V6 range. Are you sick of watching youth team climbers crush your projects? Want to return the favor? Well we might not be able to get you that strong, but we sure can try! Join us every Thursday for The Wall's brandnew Community Climbing Team! Our top coaches will instruct classes every Thursday evening from 6:30-8 PM, with a multi-month training curriculum designed to improve your skills and increase your abilities. We will cover skills and techniques to help you climb stronger and more efficiently, as well as design training regimens to increase your power and endurance. This is a weekly class intended for climbers who have been climbing for at least six months and who are bouldering at the V2-V5 range. The team costs an additional $40 per month and is only available to Monthly Recurring Members. Have you been climbing for a little while and are ready to start climbing harder? Then the Moving Up Clinic is right for you! Designed for V0-V2 climbers who are looking to improve their skills, this 4-week series is perfect for learning more about how to climb smarter and more efficiently. We will cover topics ranging from ideal hand and feet technique to training games and workouts designed to increase strength and ability. Hangboarding is the most effective tool available for training finger strength. In this one and a half hour clinic we will go over the benefits of hangboarding, proper technique, and how to develop a hangboard routine that fits you best. By the end of this workshop you will leave with a better understanding of training for finger strength while reducing your risk of finger injuries. Injuries can be a climbers worst nightmare. There's nothing worse than putting your climbing career on hold due to a preventable injury, and it's even worse now knowing how to properly recover. 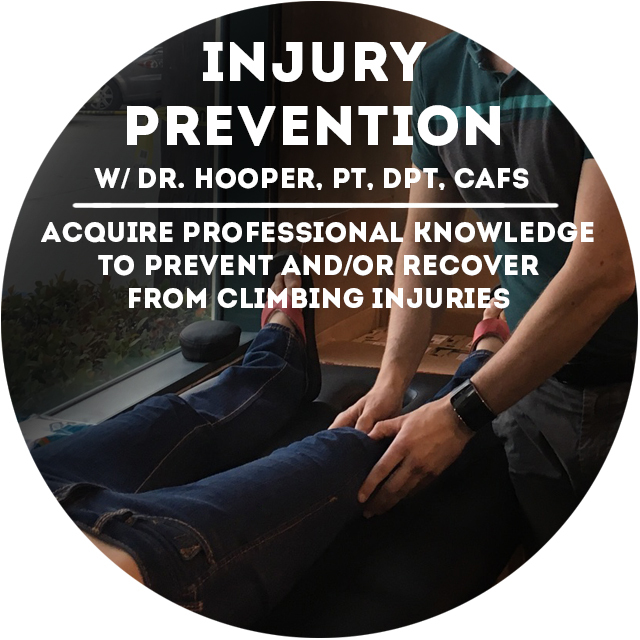 Hosted by Dr. Hooper, PT, DPT, CAFS, this clinic will cover some of the more common climbing injuries and provide essential information on how to prevent and recover from them. This information can be vital for climbers of all ability levels, especially those looking to rapidly improve their climbing ability without setbacks. What to Bring: Injuries (if you've got 'em) and questions! You couldn’t stop the fall, climbing in the steeps. You had your hand inside the jug, but you didn’t use your feet. The wave is The Wall’s most prominent feature, and it can also be the most intimidating. Learning to climb in overhanging territory has its challenges both physically and technically. This clinic will cover both of these facets of steep wall climbing. We will arm you with a training approach and a number of new tricks and tips to put that project within reach. What to Bring: Shoes, Chalk, and a lot of Try-Hard. Whether you like it or not, not all climbing is slow, controlled and methodical. Sometimes you have to subscribe to a more aggressive style of bouldering. This clinic is designed to give you the basics of dynamic climbing, as well as explore some of the more nuanced aspects of monkeying around. We will go over the technical side of dynamic movement, as well as some strengthening and training tools to help you become a more powerful climber. Most climbing movement begins with good footwork. In this clinic we will focus on the basics of foot placement and the advantages and disadvantages that different shoe styles provide. This clinic is perfect for beginner climbers (VB-V2) who are looking to improve their technique.